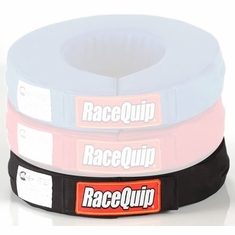 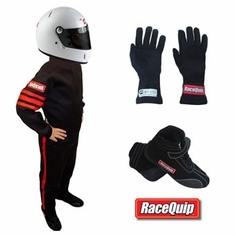 This kids racing suit is the Racequip Pro-1 single layer and is SFI-1 fire safety rated. 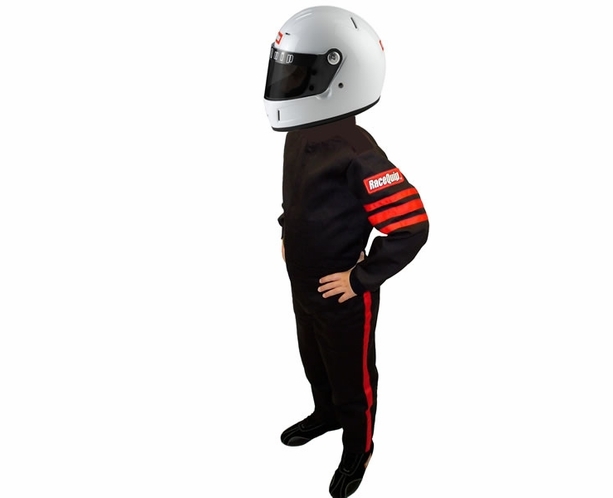 Your child's safety is our top priority. 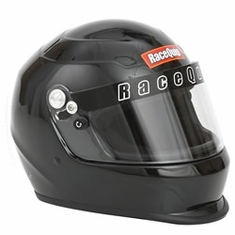 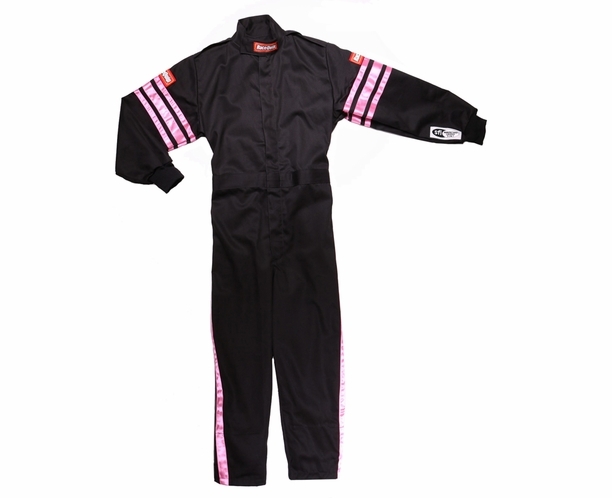 Great price and it's one of our most popular Junior Dragster fire suits. 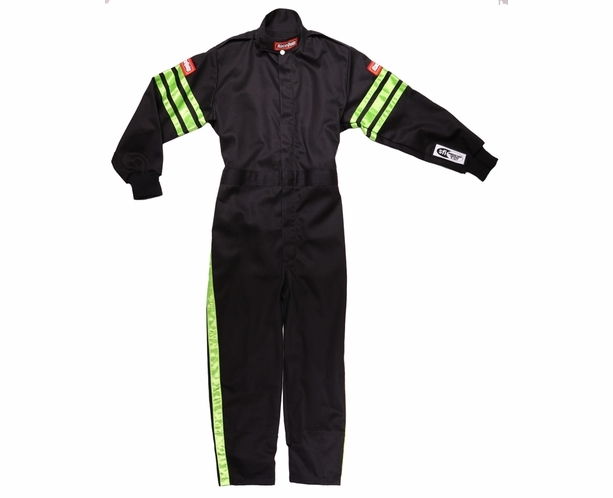 Buy this Jr race suit for sale price online now! 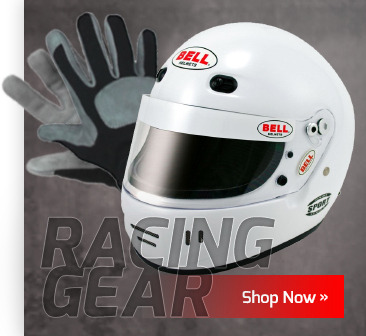 Usually ships same or next business day. 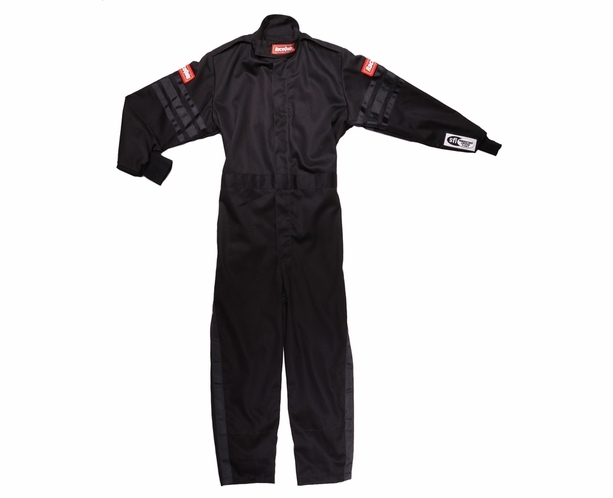 Pyrovatex® FRC Single Layer Construction What's Pyrovatex? 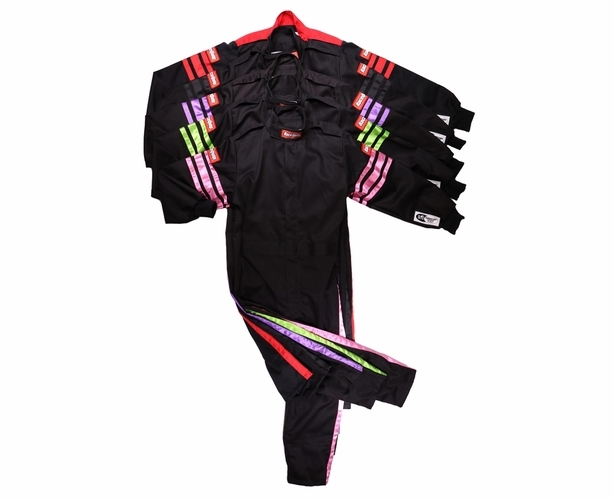 Contrasting Trim Colors: Shiny Black, Purple, Pink and Green.